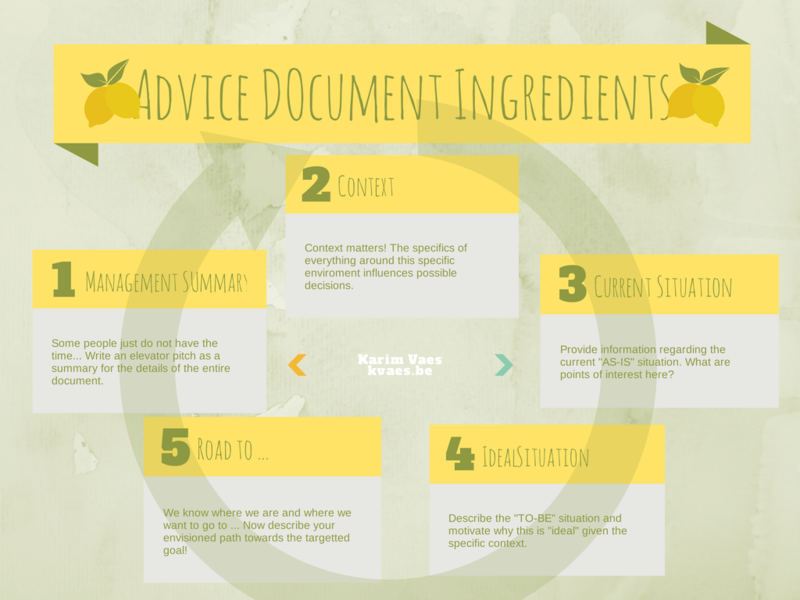 Ever heard of the DIKW pyramid? 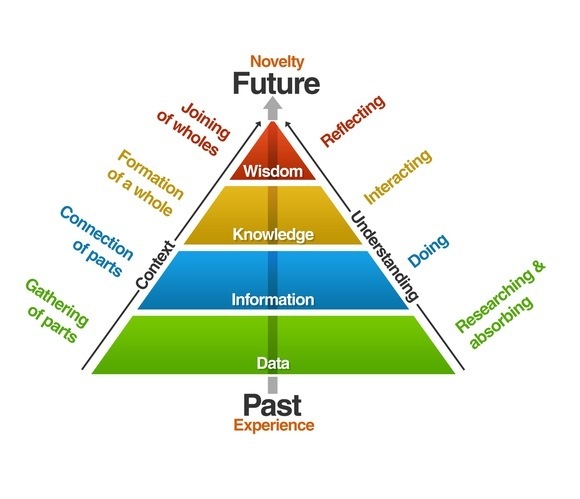 It stands for the Data / Information / Knowledge / Wisdom pyramid. Sometimes it is also referenced as “DIKW Hierarchy”, “Wisdom Hierarchy”, “Knowledge Hierarchy”, “Information Hierarchy” or “Knowledge Pyramid”. 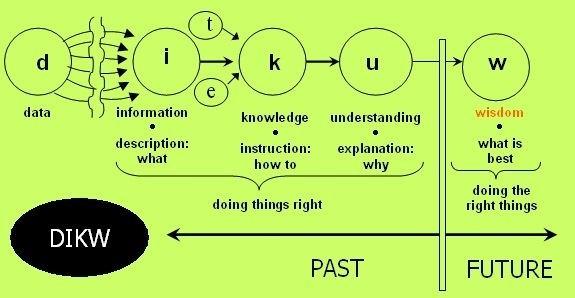 Although it is uncertain when and by whom those relationships were first presented, the ubiquity of the notion of a hierarchy is embedded in the use of the acronym DIKW as a shorthand representation for the data-to-information-to-knowledge-to-wisdom transformation. Data is conceived of as symbols or signs, representing stimuli or signals. Information is defined as data that are endowed with meaning and purpose. Knowledge is a fluid mix of framed experience, values, contextual information, expert insight and grounded intuition that provides an environment and framework for evaluating and incorporating new experiences and information. 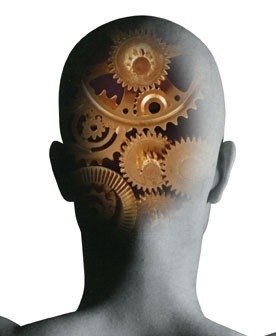 It originates and is applied in the minds of knowers. In organizations it often becomes embedded not only in documents and repositories but also in organizational routines, processes, practices and norms. Wisdom is the ability to increase effectiveness. Wisdom adds value, which requires the mental function that we call judgment. The ethical and aesthetic values that this implies are inherent to the actor and are unique and personal. Imagine the string “WifiPassword”. The string alone is data. Understanding that it is a string is information. Knowing it is your wifi password is knowledge. And using is to access your wireless is wisdom. Vacation Policy = No Policy : Nice one, where I would only add one exception “until minimum attendance is reached. “We don’t care which 80 hours you work” : Agree completely! An happy employee will work more. A time registration system will only do the opposite of which should be the objective of the system. Extreme Transparency : This gets rid of all the rumour flows and so on which paralyse the performance of any organization. Seat rotation : Sounds like a cool concept. In (even not so) big coorporations, one may find that (s)he only knows their “cubicle”. HubSpot Fellows : A coaching concept which is needed in ALL companies. Don’t hire people, push them in the pool and say it’s a good guy/girl if (s)he doesn’t drown. All other points : … focus on the social side of the human being. Where creativity is needed (and trust me, you need it to let your company grow! ), you need a social environment where people feel comfortable, appreciated/respected & nourished.